The house was built in 1887. In 1964, James Fairfax bought the property and started to turn it from an agricultural property to a gentleman's residence. 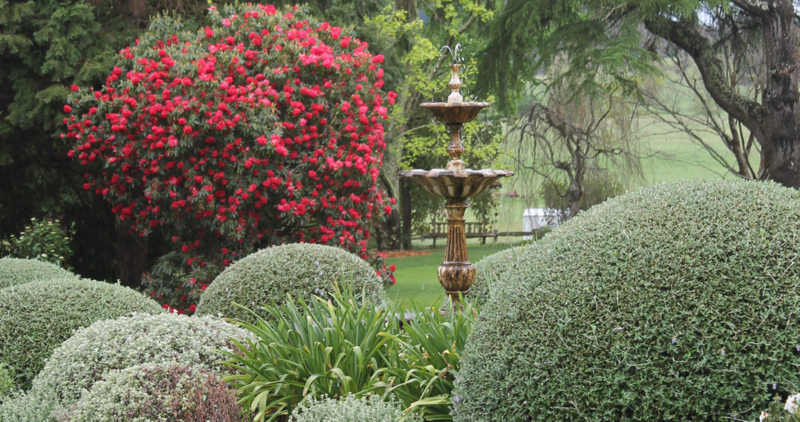 Having been in the caring hands of Mr Fairfax for over 50 years, the garden is a delight to wonder through. As you venture up the driveway the grand Victorian Italianate homestead appears from a towering arboretum of magnificent trees. Surrounding the eastern side of the homestead is a patchwork of hedged gardens. Please note the house is not open except on specially advertised dates. Annual Rainfall avg: 1357mm. Summer avg. 336mm. No. of rainy days: 51 Winter avg. 298mm. 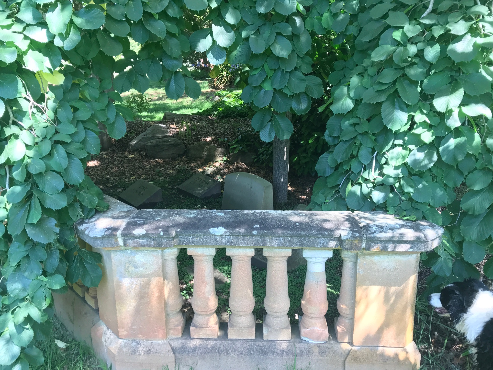 Behind the stone balustrade (from Retford Hall, the now demolished Anthony Hordern property at Darling Point), are buried many of James Fairfax's dogs. The largest stone in the centre is where the ashes of James Fairfax are buried- his wish was to rest with his beloved dogs. Completed in 1969, the Guilford Bell designed Pool, Pool Pavilion and Lily Pool are a statement of modernism. 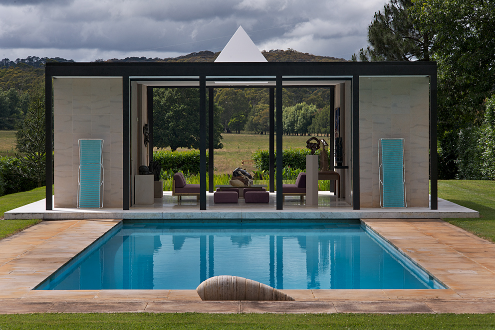 With their enclosing hedges and rural vista to the East, one can only imagine sipping drinks in the pavilion (sitting on the Bell designed furniture) after plunging into the pool on a warm summer afternoon. James Fairfax AC. commissioned English landscape designer, John Codrington to redesign the garden fronting the house soon after he purchased Retford Park in 1964. 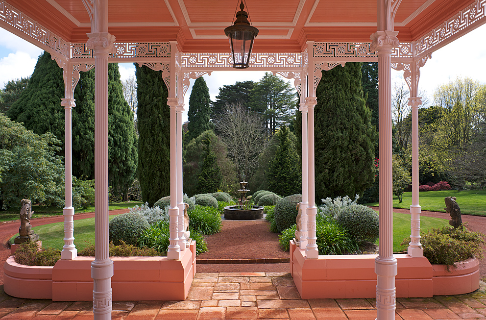 The result was a central path with fountain flanked by beds of grey shrubs and a double row of Italian cypress. 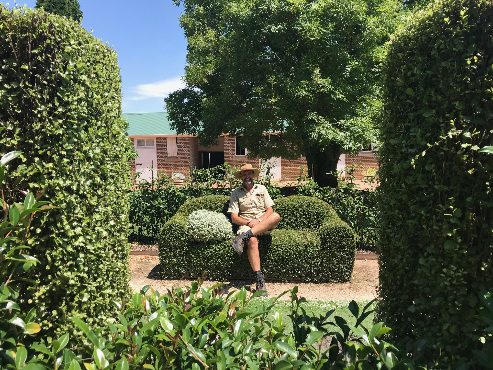 The garden was renovated in 2013 when the last two cypress were removed and additional planting of grey green shrubs took place, finely clipped into what is now known as the Blobbery. The garden team at Retford Park proudly maintain the ten hectares of heritage gardens without the use of harmful chemicals. Weeds are controlled without the use of glyphosate- volunteers play a big role here with regular weeding days. There are no insecticides, miticides, fungicides or other nasties used. The only herbicide used is 'Slasher'- an acid derived from geraniums that is registered for use on organic gardens. We use predatory mites obtained from 'Bugs for Bugs' to control mites on the Rhododendrons and Azaleas. Almost all garden waste is either composted or made into mulch to build the organic content of our soils. No artificial fertilizers are used. Birds are encouraged with nest boxes, safe watering stations, and the planting of native shelter belts. 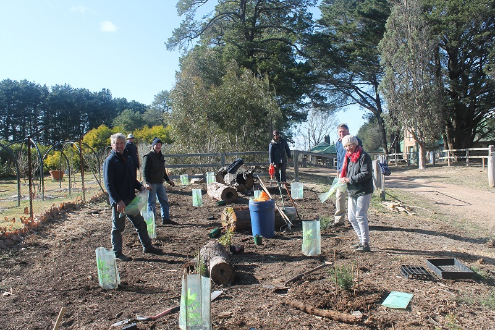 (See image of volunteers and staff planting a windbreak to protect the orchard.) So come and see how things can be done without harming the planet!